Chic 2 bedroom penthouse suite situated in the ever disireable Castle Quay. This private residence has been adorned and furnished to the highest caliber by the current owner. With the best views on island, breathtaking panoramic sea views and sweeping vista across the marina to Elizabeth Castle. 3 Bedroom Apartment Wanted for Cash Buyer. Apartment preferred with sea views. Minimum of 3 bedrooms. All locations considered. Chain free buyer. Close to all amenities. Breathtaking 2 bedroom penthouse suite situated in the disirable Castle Quay. This private residence has been adorned and furnished to the highest caliber by it`s current owner. With the best views on island, breathtaking panoramic sea views and sweeping vista across the marina to Elizabeth Castle. Potential to develop on popular La Route de St Aubin to build 4 luxurious apartments with allocated parking, secure storage and large penthouse apartment offering sea views and views out to St Andrew`s Park. Close to all amenties and the beach and parks. Ideal investment at Millais House, Castle Quay. Purpose built apartment with open plan living area, 2 double bedroom suites with fitted wardrobes, fully integrated kitchen with centre island, bathroom, master en suite, large utility room, plenty of storage, secure parking and harbour facing balcony. Beautiful 2 Bedroom Example Of These Much Sought After Apartments. 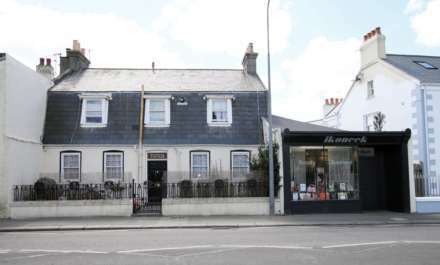 Situated on St Saviour`s Road, and only a 5 minute walk to the town centre This fabulous home is perfect for anyone wanting luxury and comfort close to all the benefits of St.Helier living!